The inferior vena cava (IVC) is the largest vein in the body (located in the abdomen and chest) returning blood from the legs and other parts of the lower body to the heart. The heart pumps this blood to the lungs, through the pulmonary arteries for purification. Blood clots that form in the legs (deep vein thrombosis) can detach and travel through the IVC and wedge itself in the pulmonary arteries (pulmonary embolism), which can be life-threatening. An IVC filter is a cone-shaped device implanted inside the IVC to help trap any blood clot that has broken loose from the legs and prevents it from reaching the lungs. The filter allows blood to flow around the captured clot. 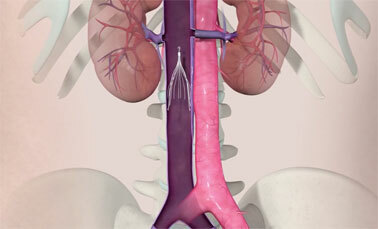 The IVC filter is implanted by a keyhole procedure under local anaesthesia. Through a needle puncture in the groin or neck, a catheter (small tube) is introduced inside the vein that lead to the IVC. Under X-ray imaging, the path of the catheter into the IVC is tracked. Your doctor then passes the IVC filter through the catheter and the filter is deployed carefully in the IVC. The catheter is then removed and pressure is applied to the needle puncture site for a few minutes to stop bleeding. 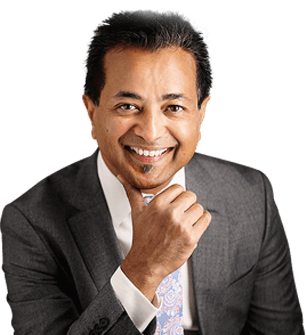 For all these reasons, IVC filter insertion has to be considered only after weighing the risk and benefits carefully.